Gently refines pores + Energizes skin. Normal skin has specific cleansing needs. To look and feel its best, it needs the right clean and specific care. Our Allure Best of Beauty Award Winning gel scrub with Jojoba beads deeply cleanses and polishes to refine pores. The formula infused with peppermint instantly energizes skin for a healthy look. How do I use Clean+ products together? For optimal results, alternate use with Clean + Refreshing Remover Cleansing Towelettes. For advanced care, incorporate a Garnier SkinActive facial moisturizer and eye roller into your routine. Aqua/Water, Butylene Glycol, Tea-Lauryl Sulfate, Polyethylene, Sodium Lauroyl Oat Amino Acids, Coco-Glucoside, Vitis Vinifera Extract/Grape Fruit Extract, Jojoba Esters, Mentha Piperita Extract/Peppermint Leaf Extract, Panthenol, Salicylic Acid, Tocopheryl Acetate, Acrylates/C10-30 Alkyl Acrylate Crosspolymer, Acrylates/Steareth-20 Methacrylate Copolymer, Alcohol, Benzophenone-4, Decyl Glucoside, Disodium EDTA, Hydroxystearic Acid, Menthol, Polyethylene Glycol, Sodium Lauryl Sulfate, Trideceth-6, Triethanolamine, DMDM Hydantoin, Methylparaben, Phenoxyethanol, Sodium Methylparaben, CI 42090/Blue 1, CI 47005/Yellow 10, CI 77289/Chromium Hydroxide Green, Parfum/Fragrance, Benzyl Salicylate, Limonene, Linalool. Rich in Vitamins A and E, Jojoba Oil is a natural moisturizer often used in products that soothe sensitive skin and scalp. Rated 5 out of 5 by Kathy Mike from Please bring this product back. I love this product. Please bring it back. I have used this for years. Rated 5 out of 5 by BeckyJ from Bring this BACK!!!! Please bring this BACK! Let's put it like this I interduced this product to many family members and now even they're calling me about if Ive find any at any store. I recommend this product and now I look bad. Rated 5 out of 5 by Weeboo from Love ittt!!! I had been using this for years!! All of a sudden discontinued!!!! Looked everywhere!! Finally came on the site and was reading the comments and everyone feels just like I did so disappointed that it’s no longer available in stores. Please bring it back my face has never felt cleaner then with this face wash!!!!!! 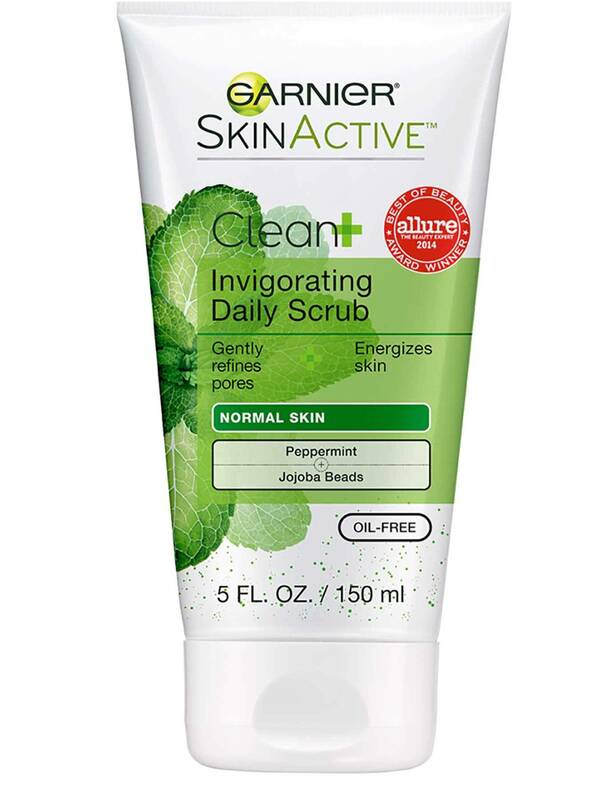 Rated 5 out of 5 by Beth90 from Please Bring This Product Back I absolutely love this facial scrub. It has worked wonders on my skin, and I have been unable to find anything to compare to this. Please do not discontinue this product! Rated 5 out of 5 by Ddh84 from This product is amazing Please bring this back to the local stores I have tried a lot of other face washes out there and this is the only one that helps so much. I absolutely love this product. I let some people I know use some of mine and they also love how it works so good and now they are kind of upset that they cant find it anymore. Rated 5 out of 5 by bolanosadri3 from It works sooo well for me I went to every drugstore and Ulta for this but couldn't find it. Please bring it back. Whenever i have allergic reactions to other products the tingly and refreshing sensation of this product cools down my breakouts. My skin misses this product so much. As someone else said on the reviews, I started using Garnier products after I saw this one worked for me. Rated 5 out of 5 by Susan In NoHo from Love it! Please bring it back! Add me to the list of customers who love this product and want you to bring it back.